Note We supply generic versions of graphics drivers for general purposes. Computer manufacturers might have changed the features, incorporated customizations, or made other changes to the graphics driver software or software packaging. To avoid potential installation incompatibilities, we recommend that you check first with your computer manufacturer and use the driver software provided by them. Make sure you've successfully Identified the Intel® Graphics Controller that is available on your computer. Click or select your operating system for a video demonstration of manual installation steps. 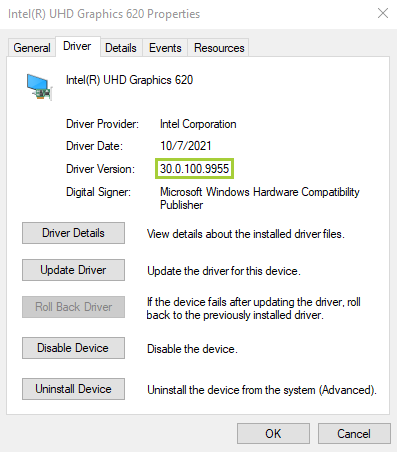 Download the graphics driver from Download Center or from your computer manufacturer. If the file driver was contained in a zip file, unzip the file to a designated location or folder. Click Yes when prompted for permission from User Account Control. Right-click the Intel® graphics entry and select Update Driver Software. Note If a Intel® Graphics Driver wasn't installed, the graphics entry may be Microsoft Basic Display Adapter*. Click OK, and finally click Next. Drivers are now being installed. Double-click the installed Display Adapter. Verify the Driver Version and Driver Date are correct. This article applies to 35 products.